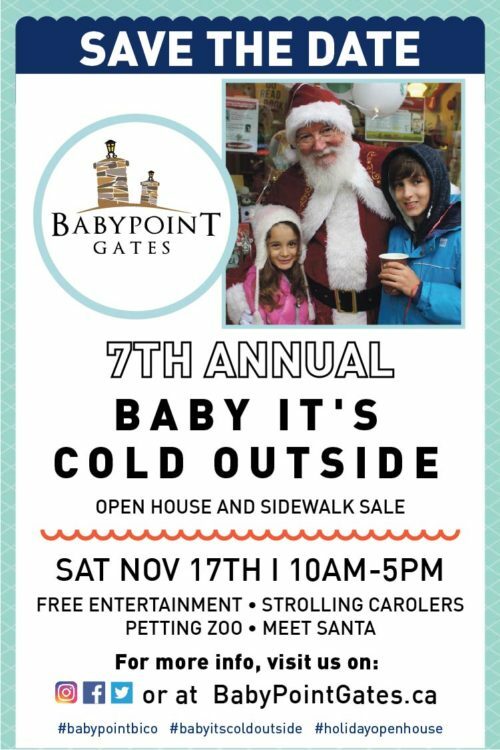 On Saturday, November 17th Baby Point Gates BIA will host our 7th annual ‘Baby It’s Cold Outside’ Open House and Sidewalk Sale. We invite all of our businesses, neighbors and community members to come out and celebrate the start of the holiday season. There will be live music, activities for kids, and entertainment for all! Stay tuned: more details coming soon.